One of South Park's least prominent families, Dr. Alphonse Mephesto cares deeply about both of his sons and they all work on various projects and experiments for the advancement of science. Busy with science, they're very rarely seen together in town. Dr. Mephesto's relationships with his sons have never been explored in the series, but he is almost constantly accompanied or assisted by Kevin, who seems to intrinsically understand his wishes. His relationship with his son Terrance is more complicated, and they are rarely seen together. Terrance seems to appreciate his father's advanced scientific knowledge, but unlike his father, shows little regard for the risks to human life entailed. 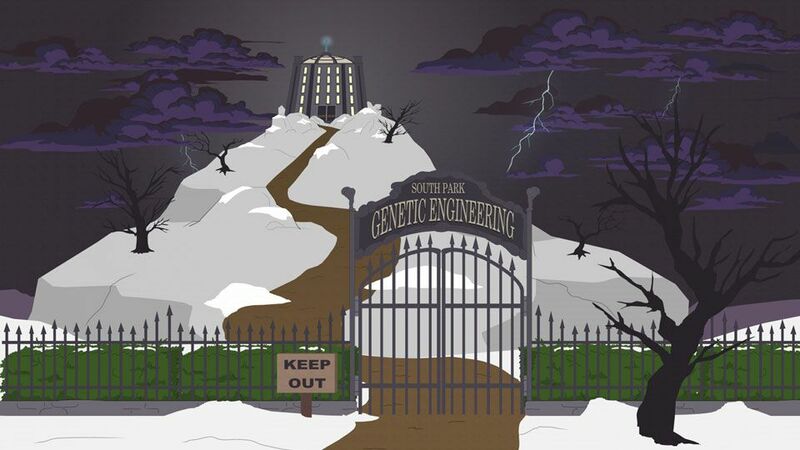 Throughout all of his major appearances, Dr. Mephesto and his assistant Kevin have always been seen at the South Park Genetic Engineering Ranch, and never has a separate residence has never been suggested or depicted, so it has been assumed that they live in an unseen residential section of the ranch. Terrance has also been seen there on at least one occasion. This only contains episodes where all family members were present. The level "The Many Asses of Dr. Mephesto" focuses on Mephesto as its central character, but excludes Kevin entirely, and relegates Terrance to a cameo that suggests he has been deceased for a very long time. During the character creation process, Dr. Mephesto can be seen working on a project in his laboratory and both sons may walk by or notice the player. Terrance is also a playable character, and Kevin appears in the card art for the Four-Assed Monkey. Their family name is sometimes rendered incorrectly as Mephisto.